How do you unleash the creative power of a beetroot? Rose Reisman has long been considered one of Canada’s leading lifestyle and nutritional experts. Her philosophy of how to lead balanced and healthy lives in a hectic world, has been celebrated through her many critically acclaimed cookbooks and catering business. Rose has an endless reserve of enthusiasm for her mission and never stops thinking about how she can expand her reach and bring her vision to life. 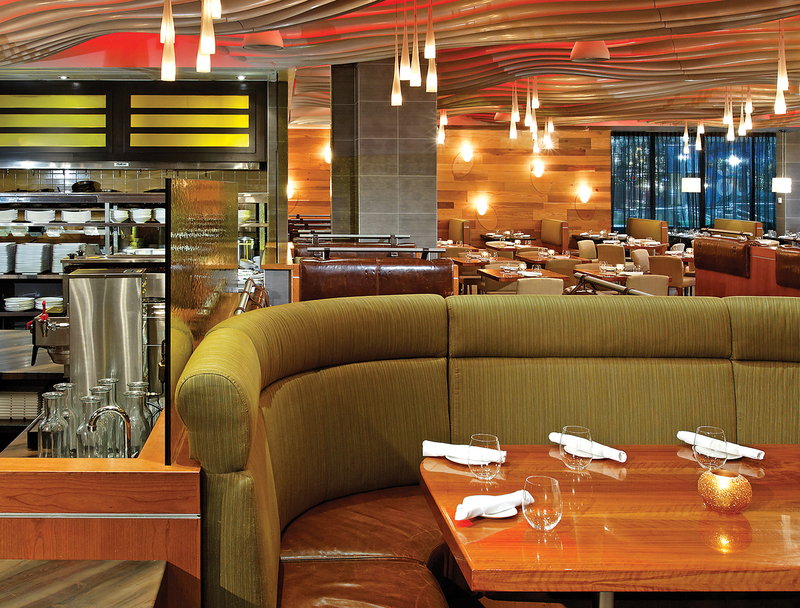 In partnership with Restauranteur Peter Higley, the idea of creating a Reisman inspired dining experience was born. In response to this exciting opportunity, mackaywong developed a design concept that explored ideas that were informed by the sites agricultural history and its subsequent development as a model suburb for Toronto in the 1950’s. 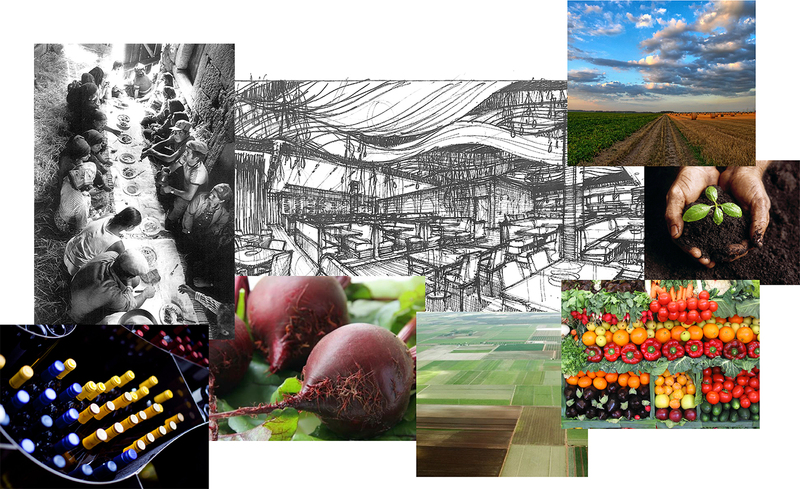 These themes appropriately mirrored Rose’s interest in the power of nature to address what ails modern and urban life. 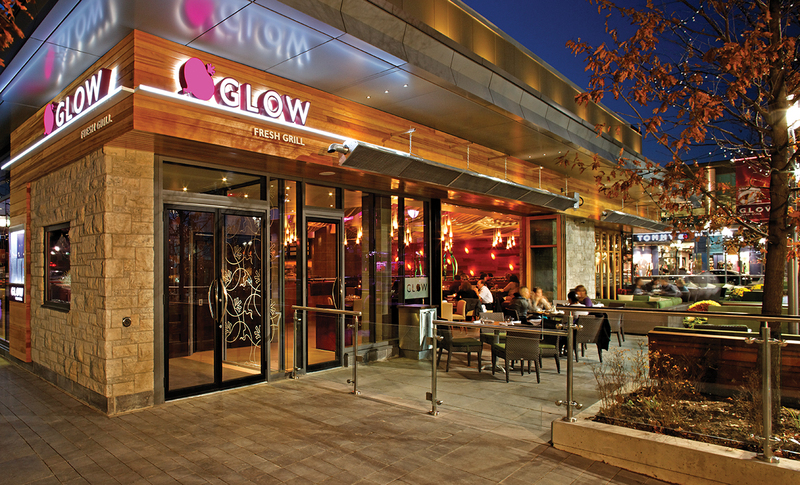 A fully retractable glass wall showcases Glow's interior and connects guests with the social life of the adjacent park and ice rink. The creative team dug into concepts about our relationship with the soil, its power to sustain us, how we manage it and the marks we leave on it. The wonderful beetroot emerged as our “ Superhero Veggie ” and fuelled the Branding team’s imagination. No matter where our lively discussions lead us, they can only happen when we are all at the table ”breaking bread” together. 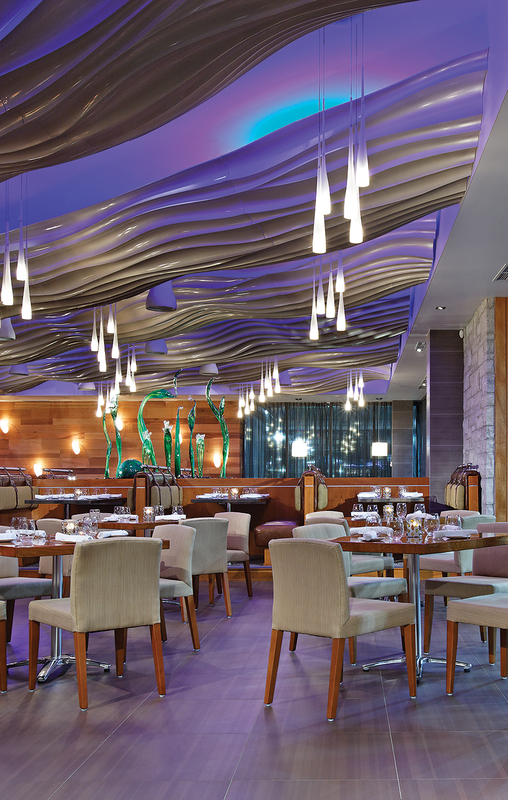 Backlit by colour changing LED’s, sculpted cloud-like forms lightly and elegantly float above the dining room. 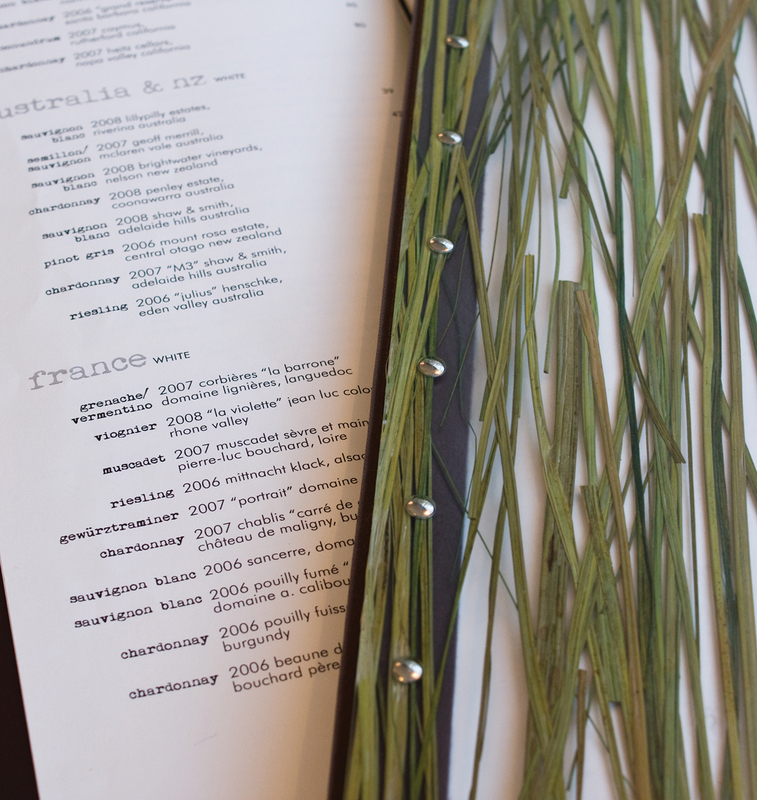 The mood and atmosphere in the room imperceptibly changes throughout the meal. 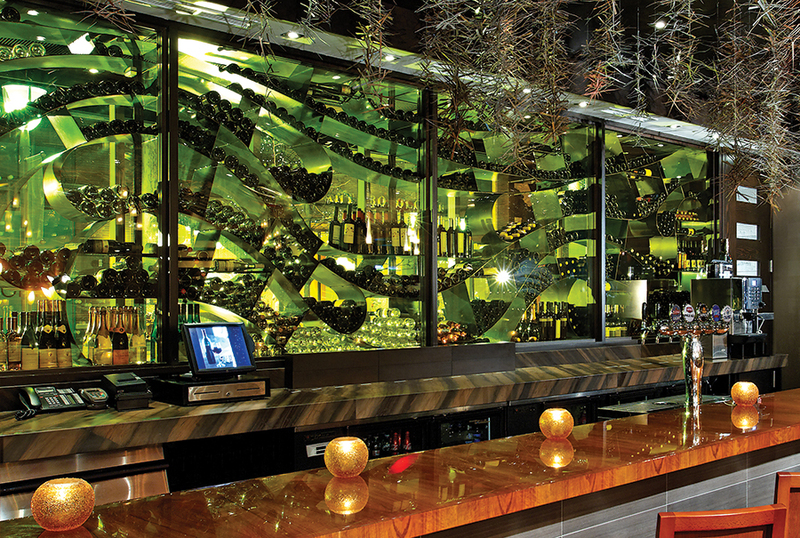 The Wine Cellar’s undulating organic form references the relationship between the local Niagara vineyards and the perfect growing climate that is provided by the adjacent escarpment. 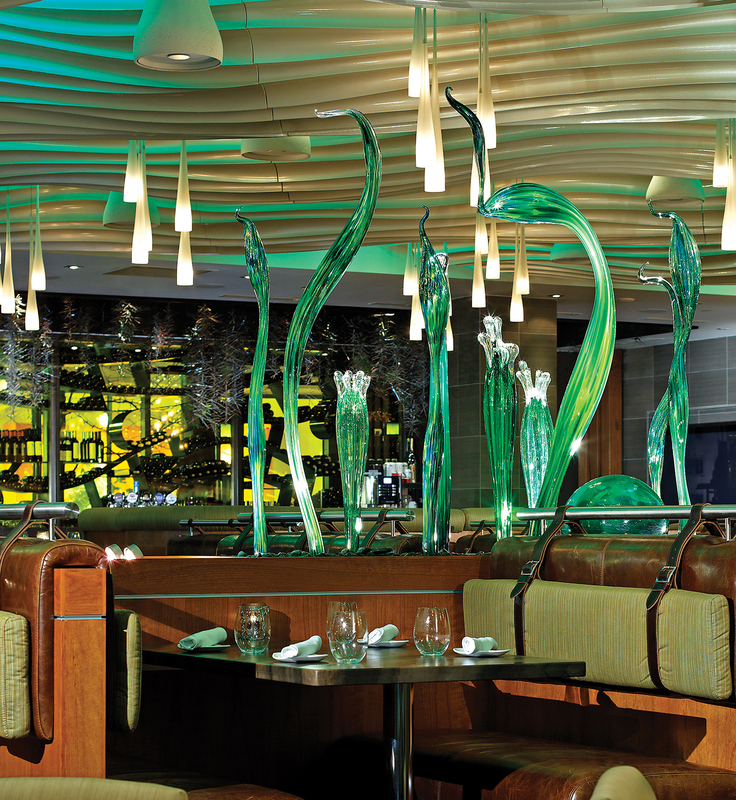 Featured in the centre of the dining room, a beautiful blown glass sculpture by renowned American glass artist Dale Chihuly appears to be blowing in the wind. mackaywong’s interpretation of natural form and motion determines the rhythm of the space and unifies this small building with the land on which it stands. 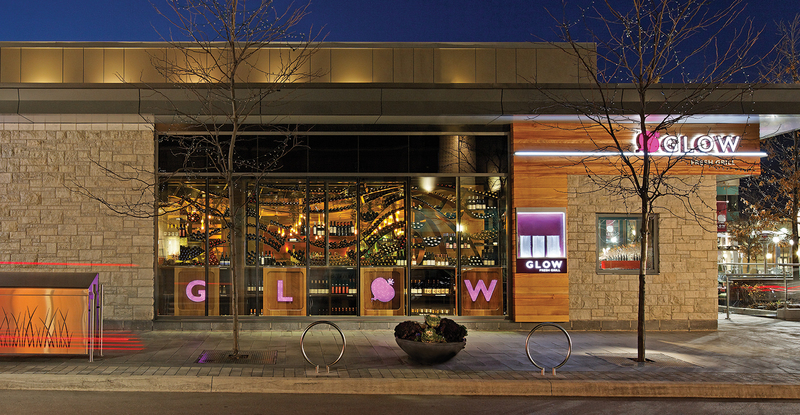 Glow explores a new way of experiencing nature. 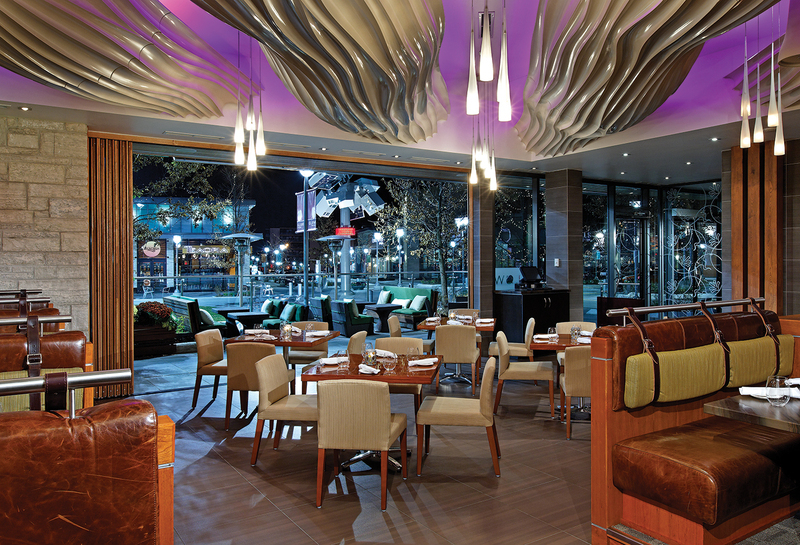 It focuses not only on the natural elements, but on the form and movement that they create. 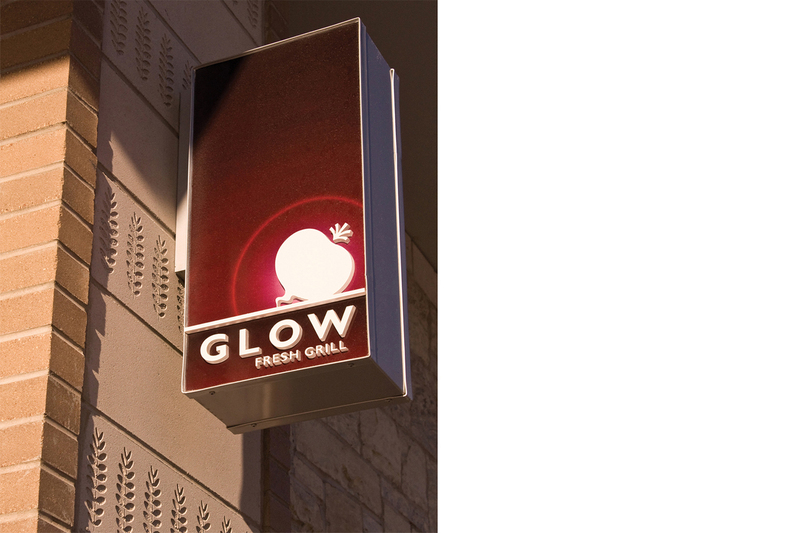 Natural materials such as grasses, wood grain and embossed organic textures feature prominently in the collateral materials and Glow’s branding strategy. The mighty beetroot icon glows and is featured prominently on all exterior signage and is beautifully complimented by the embossed clay wall tiles.